The next time you’re looking for inspiration, pick up one of these books that motivate top executives and thought leaders. 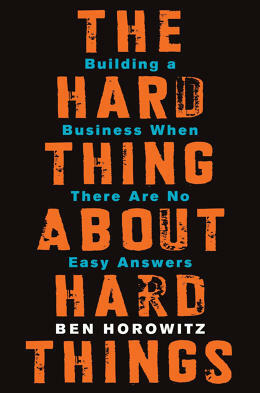 The Hard Thing About Hard Things by Ben Horowitz several of the leaders we talked to said this book was a must-read for entrepreneurs. “I have gifted this book several times because it is one of the grittiest, most realistic books on entrepreneurship. And I enjoy picturing Ben Horowitz rapping,” says Elizabeth Chabe, CEO and founder of High Touch Courses, a startup focused on spreading digital literacy globally. Kathleen Wright, founder of Piece & Co, a Chicago-based company connecting global artisans with brands that source socially responsible products like J. Crew and Tory Burch. “This is the one book I’ve read that accurately describes what it’s actually like to start a company. It’s hard, it’s scary, and it’s natural to go through big ups and downs,” says Raaja Nemani, cofounder and CEO of BucketFeet, a company that pairs art and footwear. 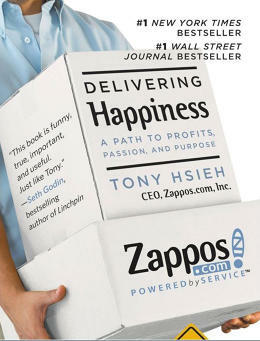 “When you read this book, it’s impossible not to feel the adrenaline and get a tiny but impactful taste of what it was like to start and grow Zappos. From idea inception to Vegas, it’s so interesting to see inside a company that has built a company culture and brand that has scaled,” says Katia Beauchamp, cofounder of beauty products subscription service Birchbox . Never Eat Alone by Keith Ferrazzi and Tahl Raz “[The book] really redefines the whole notion of ‘how to network’ in a more authentic way. It’s all about finding common ground with the people you meet serendipitously. Our Live in the Grey philosophy says, ‘make your friends your colleagues and your colleagues your friends,’” says Maneesh Goyal, founder of Live in the Grey, an online community offering resources for blending personal and professional lives. Bone Games: Extreme Sports, Shamanism, Zen, and the Search for Transcendence by Rob Schultheis “This was the first book to establish a link between flow states and action/adventure sports. It contains some of the foundational ideas that led to both (of my books) West of Jesus and Rise of Superman. Also, Schultheis is an amazing writer, so this book was also one of the first times I realized that the storytelling techniques from New Journalism could be applied to science writing,” says Steven Kotler, New York Times bestselling author and cofounder of the Flow Genome Project. 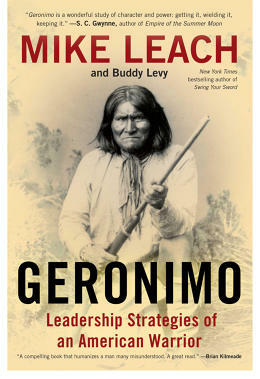 “I like reading about historical figures like Geronimo and Churchill because these are people that had to act to preserve entire cultures that were under imminent danger and their accounts provide much better leadership, management, and life lessons than books written for business management,” says Naithan Jones, cofounder and CEO, AgLocal, an organic meat delivery subscription service. Bird by Bird: Some Instructions on Writing and Life by Anne Lamott “Anne Lamott and Joan Didion are two of my favorite authors. I’m a fan of non-fiction work and I appreciate the honesty and accessibility of their writing styles. Bird by Bird is a must-read for anyone that wants to be a writer or has writer’s block,” says Porter Gale, marketing expert and author of Your Network Is Your Net Worth. The Power of Full Engagement: Managing Energy, Not Time, Is the Key to High Performance and Personal Renewal by Jim Loehr and Tony Schwartz “This is a beautiful book about maximal productivity/living through working in rhythms. [Loehr] used to be a coach to some of the world’s top athletes, and then realized that the same fundamentals for maximizing athletic performance also work for ‘corporate athletes.’ This book changed my relationship to both energy and time, and helped me build key life routines that I value to this day,” says Justin Rosenstein, cofounder of online collaboration tool Asana.